Do you remember that I was doing a series on behavioral support? Yea, well I feel like you must think I forgot about the most important part–INTERVENTION! What good does it do to complete a killer FBA if we don’t have rockin’ interventions that actually reduce challenging behavior?? So, no, I have not forgotten…just got a bit distracted. But now we shall continue. If you want to catch the rest of the series, you can do that HERE. 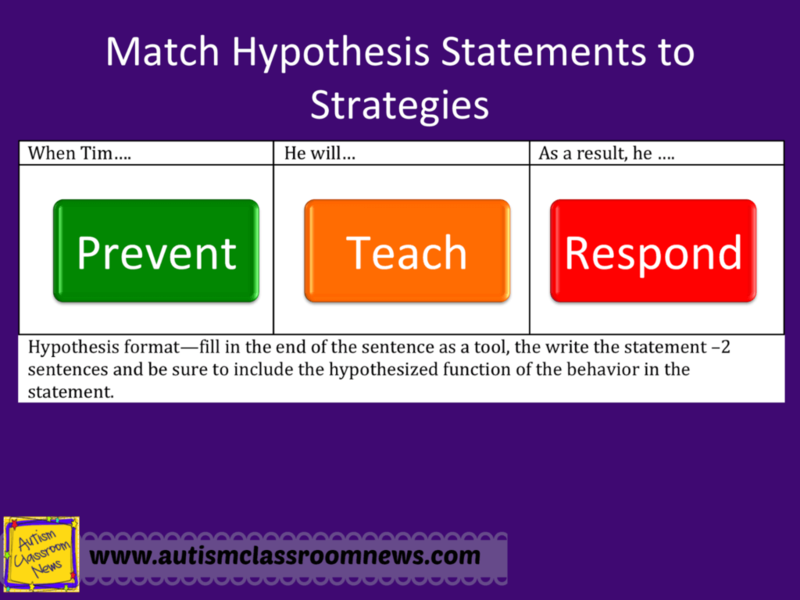 So, if you remember, one of the things I talked about when you write your hypothesis statements, if you write them correctly, the first part addresses the prevention strategies. 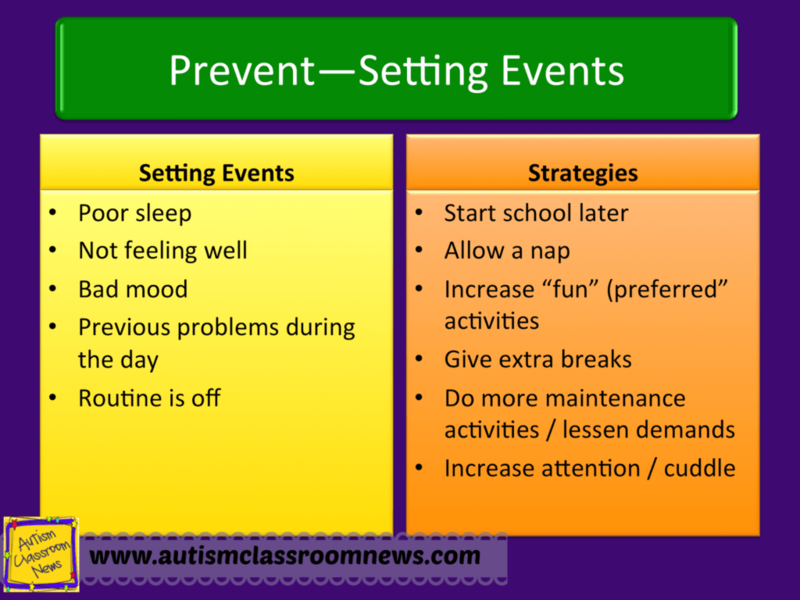 Prevention strategies are going to address the setting events and antecedents of the challenging behavior. Antecedents are pretty easy–they are what we find in patterns that indicate they may be triggers for the challenging behavior. 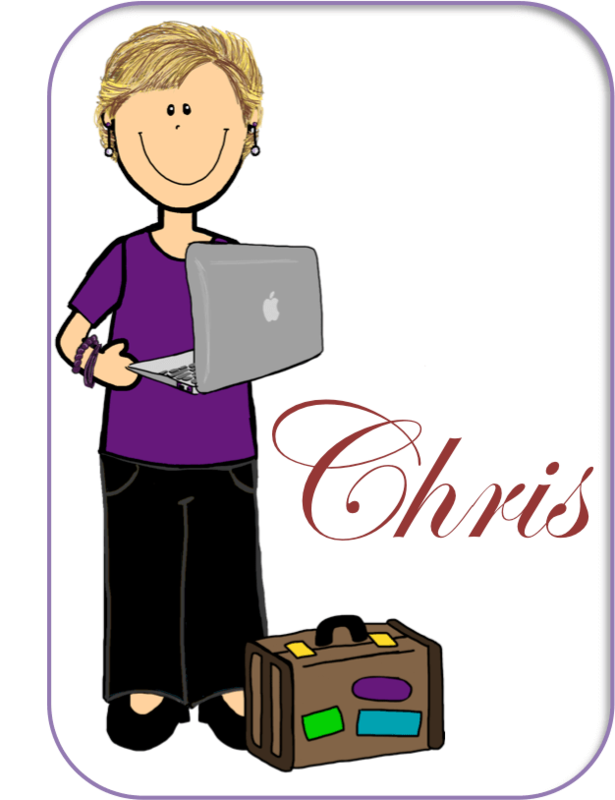 They are the events the IMMEDIATELY precede a challenging behavior. So, I ask him to do math, and he throws it, the request/demand to do math is the antecedent. Setting events are a bit more complex. They set the individual up to respond to that antecedent on some days but not on others. They typically happen in the more distant future. I talked about them when I discussed data collection HERE. So today I want to talk about how we provide support for setting events, many of which we can’t change or fix. Clearly if we can eliminate the setting event, and it’s likely to stay resolved, we can do that. For instance, if being hungry is likely to make the student more likely to respond to work demands with challenging behavior, then giving them frequent small snacks at specific times of day may eliminate this problem. However, most setting events are not things that we can easily prevent, like not feeling well or not sleeping well. I know we would all love to resolve sleep problems for our kids with ASD, but as a teacher, just remember that if parents could solve that problem, trust me THEY WOULD! So, what do we do when we can’t eliminate the setting event? We have to find a way to work around it. This is where the brainstorming team becomes incredibly important. Figuring out work-arounds for setting events can be challenging experience that requires lots of creativity. Below are some strategies that can match up to some of the common setting events. Let me preface them by saying, setting events are NOT an excuse for shortening a student’s school day or allowing a student to sleep through school. I am NOT advocating for that and I have real concerns about the practice of shortening a student’s school day because of behavior. However, there are times when giving parents the opportunity for a later start if it’s needed (not requiring it), or giving a student a chance for a short nap at school may be the difference between a productive 6 hour day and a frustrating, unproductive 7 hour day. As with anything, you take data and make a decision based on that. Now, to give you some ideas and other options there is research that shows you can address setting events. Being in a bad mood has actually been researched as a setting event (Carr, McLaughlin, Geacobbe-Greco, & Smith, 2003) and they found that when you presented desired activities or items to the person in a bad mood they could induce a better mood and prevent challenging behavior. It’s related to noncontingent reinforcement in which we offer a reinforcer freely without being contingent on specific behaviors. In addition, Magito McLaughlin and Carr (2005) found that some behavioral issues arose from not having a good rapport with specific staff persons. They found that they could pair that person with positive activities or items the person they liked, they could build rapport and prevent challenging behavior. We called it the coffee and cookie intervention. So, with a little ingenuity you can often figure out how to turn setting events around to make them less of a problem, and thereby prevent challenging behaviors to the antecedents. 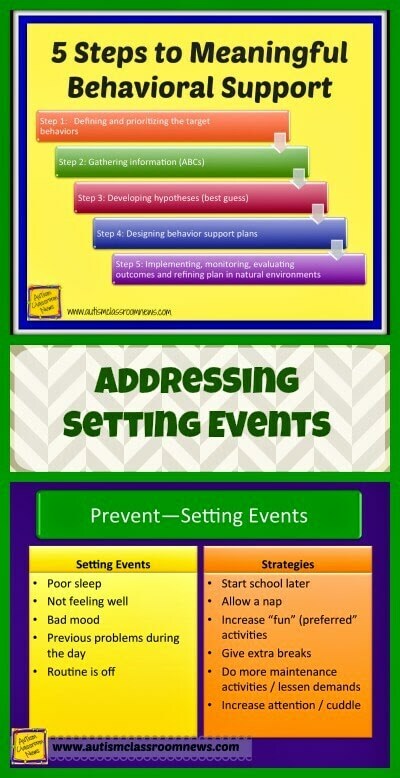 What setting events affect your students? What creative solutions have you developed to address them? If we can come up with a way to address them, then we have to address the antecedents….which will be the topic of the next post. Magito McLaughlin, D., & Carr, E. G. (2005). Quality of rapport as a setting event for problem behavior: Assessment and intervention. Journal of Positive Behavior Interventions, 7(2), 68–91. doi:10.1177/10983007050070020401. Carr, E. G., McLaughlin, D. M., Giacobbe-Grieco, T., & Smith, C. E. (2003). Using mood ratings and mood induction in assessment and intervention for severe problem behavior. American Journal of Mental Retardation, 108(1), 32-55.